I was anxious to try this local pub having heard that it had won 'Les Routiers Pub of the Year 2016' and so when friends invited my wife and myself for lunch on Monday, we jumped at the chance. 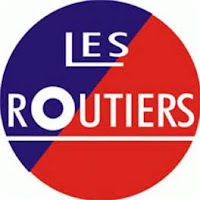 I must say we were not disappointed and will be visiting again soon and taking the family, including my daughter who is a food journalist for the biggest regional newspaper in the UK, and knows what 'good food' is. 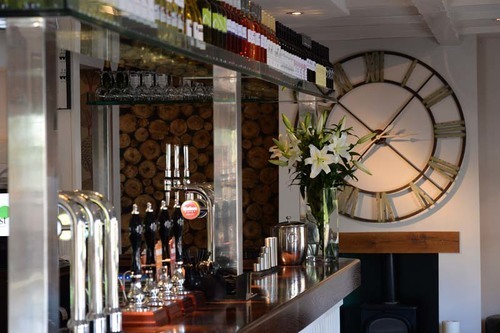 The old Forest pub at Feckenham near Droitwich in Worcestershire has been given a massive make-over and it's interior is now stylish and contemporary. I loved the large clock overlooking the bar which is long and narrow but has been designed to give maximum seating space through high tables and chairs, ideal for bar snack eating. 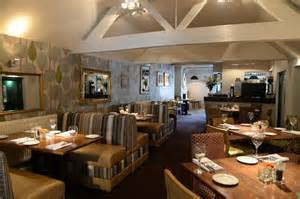 The entrance area to the main restaurant is beautifully furnished and although I would liked to have eaten there, we were shown through to the conservatory on the rear of the pub, with french windows out to a well laid out alfresco eating area. Sadly, on a Monday lunchtime, the conservatory was full of senior citizens and although I might be one myself, my wife and our friends are youngsters. I did feel that I was at an OAP club, but thankfully I did not see any bingo cards on the tables. However, there was a very extensive and impressive menu that included 'Lite Bites', and sandwiches, in addition to the Al a carte menu. Our table of four ordered glasses of wine while we perused the many choices and fresh bread and complimentary olives also arrived at the table. The men opted for starters while the women decided that the mains alone would surfice. My starter of chicken liver parfait with red onion marmalade, pickles and toast looked delightful when it arrived, and I loved the smooth texture of the pate with the sharpness of the marmalade. The toast had softness and thankfully was not like the sharp crisp Melba toast you get in most restaurants with pate. I savoured every mouthful. My male friend had the twice baked Cheddar souffle with smoked garlic cream and watercress. By the way he devoured it - he enjoyed it! Our mains arrived piping hot and beautifully arranged on their plates, certainly not 'pub grub' arrangements! The girls had chicken breast, thyme rosti potato, sauteed spinach with a mushroom and Marsala jus. My male friend went with a salmon and prawn fishcake with sauteed leeks and a poached egg on top. It looked spectacular and I could have chosen that instead but I selected 'a boyhood memory' - homemade faggots, crushed peas, onion gravy with a crispy shallot and mashed potato. I was greatly impressed with my main course - it brought back memories of my Mum's homemade faggots - they were firm, meaty and not over spiced to the extent that you would go on tasting them for the next 24 hours. The peas were sweet and carefully crushed, while the onion gravy was so delicious, I just wanted more and more. An exquisite dish! I can see why they are 'Pub of the Year! As for my fellow diners - they cleared their plates and scrapped off every remnants of sauce, saying how good the food was at The Forest. As for the service - it could not be faulted. Smart,attentive and efficient staff, including the barman. 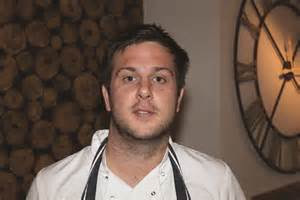 The Head Chef is Tom Robinson (below) who 'has taken British food and added a contemporary French twist', he claims. And influenced by the cooking of his nan and mum. He certainly can dress a plate and if the assertion is that 'you eat with your eyes', then I was full by just looking at his dishes. As for costs - excellent value for money. Great food at a great price! 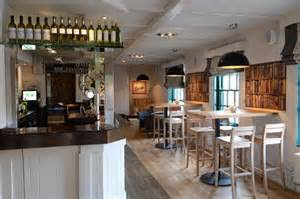 See The Forest at Feckenham here:- www.theforestatfeckenham.com and check it out on Tripadvisor, you wont be disappointed.